Aiming to encourage and entertain all music lovers, the concert series will promote a broad range of orchestral music, solo recitals and choral offerings of a quality generally associated with larger towns and cities. 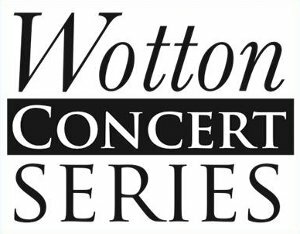 The Musical Director of the Wotton Concert Series Benedict Hoffnung and its artistic advisor mezzo-soprano Catherine Wyn-Rogers are international artists who live close by. They have teamed up and devised three vibrant and diverse concerts to launch the series. Benedict Hoffnung is a timpanist, percussionist and latterly a choral director and conductor. He has worked extensively with all the major symphony and chamber orchestras in London and runs his own choir and period instrument orchestra. He said: “The feedback following a sell out performance of Messiah in the church towards the end of last year was remarkable and very encouraging. Catherine and I realised that here on our doorstep was a beautiful building with a wonderful local audience. This had to be an opportunity to devise our own series and to bring high standards of performance directly into the heart of the community. The first concert, Baroque Masterpieces, will take place on November 20th 2010 and will include works by Handel, Torelli, Vivaldi and Bach. Conducted by Benedict Hoffnung, the newly founded Rinaldo Consort and Choir will be joined by virtuoso trumpeter Robert Vanryne, with award winning soloists from the Royal Academy of Music. The second concert, A Portrait in Music on 12th February 2011, is an evening in the company of the internationally acclaimed mezzo-soprano Catherine Wyn-Rogers with her fine accompanist, the German pianist Klaus Sallmann. In a varied and delightful programme Catherine will introduce her audience to many of the characters she has portrayed over the years; from Purcell to Wagner, Elgar and beyond. The third concert, Music from Fauré’s France will be held on 2nd April 2011. The great Requiem by Fauré, his much loved Pavanne and the Cantique de Jean Racine are in striking contrast to Poulenc’s dramatic and magnificent Concerto for Organ Strings and Timpani. Acclaimed Gloucester cathedral organist Ashley Grote and BBC Chorister of the Year Laurence Kilsby join the Bristol Ensemble and the St Cecilia Singers in a programme conducted by Benedict Hoffnung. The Reverend Rob Axford said: “This is a major opportunity to bring high quality music to the town and I am delighted that we are able to hold such a prestigious concert series in the church. It has always been my aim to make maximum use of everything the church has to offer and its acoustics are a major feature. I am fully expecting it to be a sell out which will encourage us to make this an annual event”.